What is allergy to histamine and how is it treated? Allergy to histamine in children and adults often occurs as a very strong reaction of our body to some specific foods, it is actually food intolerance. Histamines are the natural components of many products, and often are the initiators mentioned of acute allergic reactions. What is histamine? It is an organic compound of nitrogen, very important for our immune system in its entirety, it regulate physiological functions of the stomach. In many cases, it is not a big problem for the human body because the specific mechanism in our intestines successfully neutralize it. However, in some people this mechanism does not perform its function very well and allergies to histamine occurs. This disease even though not life-threatening, certainly disturbs our everyday lives, and is manifested as a very violent reaction of the body after eating certain foods. Other parts (insomnia and other sleep disorders- anxiety, sudden changes of mood, low blood pressure, feeling cold). Histamine allergy is diagnosed when there are two or more symptoms listed above present. Foods rich in histamine after consumption may be kept for 48 hours in the body, and the symptoms of intolerance are sometimes only momentary and sometimes occur for several hours after consumption, and in the worst case they withdraw after one day. Diagnosis is determined by testing its quantity and diamine oxidase enzymes in the blood, then with the one-month diet without this ingredient and the final control. In the treatment group used are drugs - antihistamines, which prevent binding to these receptors and accelerate the decomposition of histamine. With their usage about 75 percent of allergies to histamine have been cured. 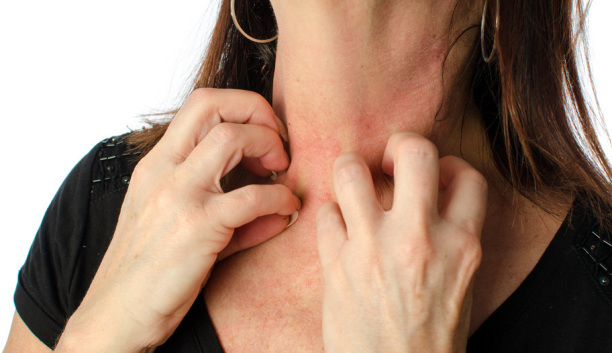 However it is important to know that histamine is not only released during these reactions. Specifically, it can enter into the body from the outside by using various types of foods and beverages that naturally contain it as an active ingredient. Histamine exist outside the body, in drugs, drinks or food. So as not to get into the blood and then provoke allergic symptoms, this biogenic amine needs to be broken down in our small intestine. If the bowel does not have enough enzymes that break it down, then symptoms similar to allergy may occur, and this is described as intolerance to histamine. The level of histamine in food depends on the process of maturing and the degree of freshness of food. The more food matures its content will be higher. As an example we can take a fresh meat that does not contain histamine, or it contains very little of it. However, the further processing and ripening processes causes the increase of this amine. The same is true for fish. Fresh fish does not contain histamine, or contains very little of it but in temperatures over four degrees Celsius amino-acids (which are rich in fish) degrades into histamine. Also, further processing, which includes smoking, salting or drying, preservation and marinade, can increase the amount of histamine. Where do we find histamine in food? With very unpleasant allergies to histamine, the biggest causes of problems are precisely the ingredients that contain it in bigger or lesser extent. Here are some of them. A large number of alcoholic drinks contains histamine (white and red wine, beer and champagne), smoked and canned fish, then fish that is not enough fresh such as sardines, mackerel, tuna, anchovies, sardines, herring, catfish, salmon, as well as numerous other marine foods that are available to us today in supermarkets. Foods rich in histamine are certainly smoked meat, almost all meat products (ham, salami, ham and other cured meats, bacon and sausage), also moldy cheeses, as well as many other spreads for bread. From vegetables there are: tomato, spinach, mushrooms, pickled vegetables (cabbage and greens), and from fruits avocados, bananas, kiwi, pineapple, mango, red plums, citrus fruits (lemon, orange, mandarin), pears, raspberries, papaya, strawberries and other red fruits peanuts, walnuts, cashews and sunflowers seeds. Other foods that contain histamine are ketchup and mustard, wine vinegar, balsamic vinegar, chocolate, cocoa, coffee, black tea, bread and pastries with yeast, sugar. There are different levels of tolerance to histamine which vary from person to person. Unfortunately, there is no food without histamine that is the one that does not contain this ingredient. People who are diagnosed with allergies to histamine, the only solution is an elimination diet or histamine diet. It is important to recognize histamine in foods, e.g. foods that contain it in high levels, then foods that stimulate its release, and those that inhibit the degradation of the compounds in the body. So, the only solution in the case of intolerance to histamine is to change eating habits, but also to keep a careful records of foods that are consumed. Thus, the body gradually gets cleaned of toxins and the tolerance grows – particularly because of changes occurring in the immune system. However, before moving on to the elimination diet low in histamine, it is necessary to visit a dietitian and do all the necessary tests. The most important asset in the fight against intolerance is a food diary, which is formed from notes of everything that a person consumes in a given time, and the appearance of symptoms faced. The diary is written at the time of consumption of certain foods and drinks, then the amount, the period of reaction and a description of allergic symptoms. Also, it is important to enter medical therapy (medicines you are taking), are you stressed etc. The goal of keeping this diary is to eventually get a group of foods that are safe for use, but also those whose consumption causes symptoms of allergy to histamine. "In November 2007 g. I was determined to try to lose weight. I did not even imagine that I would accidentally find out that I am allergic to histamine. I found the diet online and I believed that if I consumed fish and grapefruit it would help to get rid of excess weight. After one day for lunch, I ate a piece of boiled fish and a tomato, and later more pieces of citrus fruits (tangerines and oranges), for dinner also citrus fruit - I ate a handful of peanuts. During the night I woke up because I had difficulty breathing, very watery eyes, runny nose and scratching that was followed by the pain in the throat when swallowing. I thought I come down with seasonal flu, I cooked himself a mild herbal tea and squeezed a greater amount of lemon. However, except that I constantly had difficulty in breathing on the skin soft blisters started to appear, initially only on the face (eyelids, mouth), but later it was followed by painful swelling regions that spread to other parts of the body, encompassing about 70 per cent of my skin. Scared and tired of scratching for several hours, severe headaches, and sore throat that does not stop, I scheduled an urgent appointment with a dermatologist. After reviewing the foods I consumed the previous day, the doctor immediately told me that it is nettle rash which he assumed is the main consequence of allergy to histamine. I got an injection and he prescribed me a treatment with antihistamines. The doctor recommended me to keep a diary of my nutrition. Fortunately, I was able to deal with this problem. " We recommended our earlier articles: allergy to ambrosia and allergy to gluten.